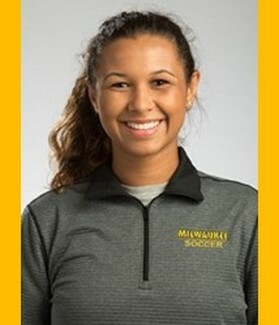 Ball Playing Center-Back Cassidy Blanchard joins TTi from the Milwaukee Panthers. The 5'11'' Junior will be a part of the WPSL Back line for the 2017 Season. "Cassidy played in the WPSL last year in California, so she is understands to the demands of the league. Cassidy is able to play anywhere across the back line and is capable aerially and on the floor" Said Head Coach, Lee Cullip. "I am very excited to be re joining my teammate from last year, Sam Marchetti. I am really looking forward to playing in Houston with a great group of aspiring players. It is exactly the environment I was looking for" said Blanchard of her arrival in Houston. New Balance 3 v 3 a Success!